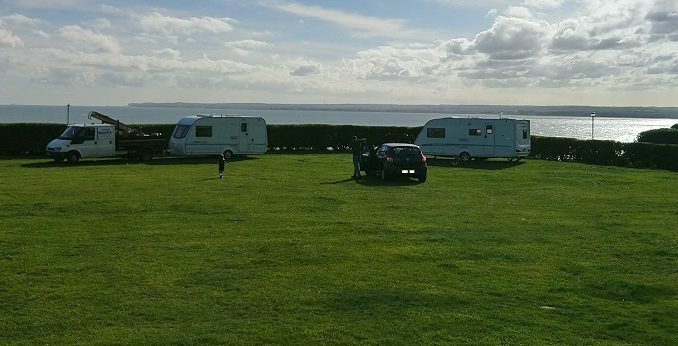 A Travellers’ group which left the car park at Marina Esplanade yesterday (October 7) and moved on to Government Acre will be served notice to leave. Thanet council was granted an order for removal to be served on the group at the seafront car park on September 6. They had been at the site at the eastern undercliff site since August 27. However, it was not served immediately due to welfare concerns. Now the group has vacated the car park but moved to the green off Royal Esplanade. 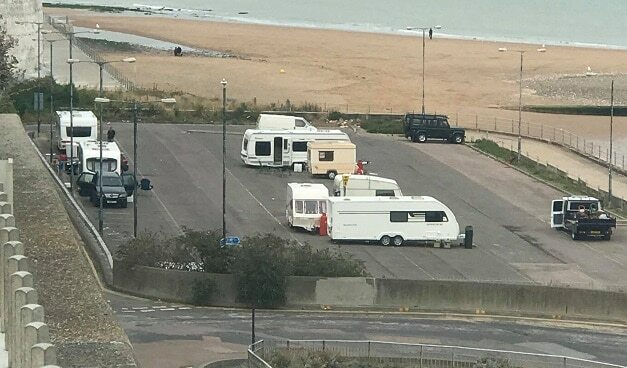 A Kent Police spokesman said: “Kent Police is aware of a number of vehicles and caravans in Government Acre, Royal Esplanade, Ramsgate. The vehicles moved onto the site on Sunday afternoon, 7 October, after being served notice to leave nearby Marina Esplanade. In Kent, there were 310 ‘unauthorised’ (no planning permission) travellers caravans as of January 2018. This is a total and includes ‘tolerated’ and ‘not tolerated’, and caravans on Travellers’ own land and on land not owned by them. This compares to a figure of 283 in January 2017 – up 9.5% year-on-year. The figures for Kent are far higher than other counties in the South East. For example, there were only 45 ‘unauthorised’ caravans in Oxfordshire in January 18, and 98 in Surrey. As of January 2018, 1,187 caravans are authorised and have permanent planning permission, up 7% on January 2017. The number of caravans on unauthorised encampments on land not owned by Travellers was 805. This was 25 caravans more than the January 2017 count of 780. However, the data records just 7 unauthorised encampments for Thanet in January 2018 and none are recorded for the counts in 2015-2017. If they are served with a removal notice to vacate, surely it would be sensible to cover the whole area, not just the immediate car park they were in as theoretically they could just move a few yards each time then causing the process to be continual. I wonder why, in Thanet, we seek to move on Travellers with homes but appear to ignore those without, who have been on the same site ( in a shelter) for longer?